Levis History of Women's Jeans: Levi Strauss & Co.
Levis History of Women's Jeans : Levi Strauss & Co.
Women's jeans have evolved substantially in the 75 years since Levi Strauss & Co. created the first pair. But at their core, modern women's jeans trace their lineage back to the earliest pairs. Today's most popular styles are interpretations of the daring and progressive styles first made popular in the 1930s. And the women who wear jeans today are just as unstoppable as those pioneering women who first donned Lady Levi's® jeans. 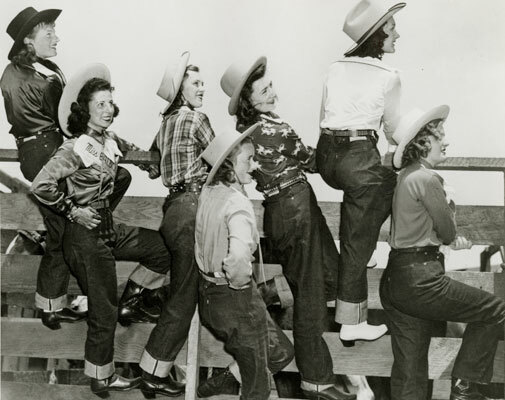 Pre-1934: Women in the West began wearing their husbands' or brothers' Levi's® 501® jeans, the original blue jeans first created in 1873. These pants were sturdy enough to handle the rough life of a rancher. 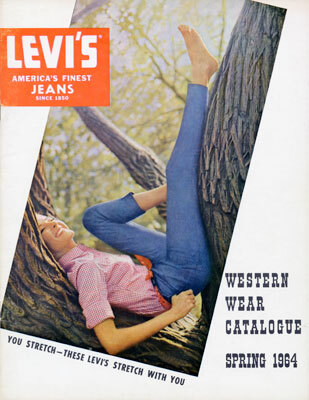 These original Levi's® 501® jeans worn by women foreshadow the current “Boyfriend” jeans popular today. 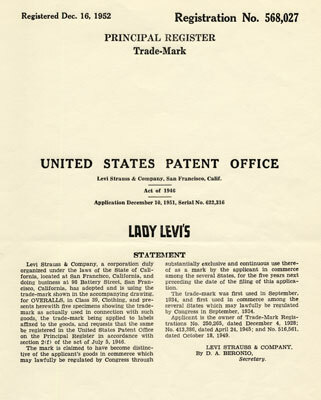 1934: The first pair of women's jeans, Lady Levi's®, are created. Assigned lot number 701 to distinguish them from men's jeans (Lot 501), the original pairs were aimed at women working on ranches and sold in several Western states. 1930s and 1940s: Sales of women's jeans begin to take off due to the growing popularity of dude ranches. High-end department stores Best & Co. and H. Kauffman & Sons Saddlery Company carried Levi's® jeans to meet this new demand. Women's jeans also switched from button-fly to zipper. 1950s: Lady Levi's® jeans are sold throughout the United States along side men's Levi's® 501® jeans and the classic denim jacket. 1960s: Amid a tumultuous cultural revolution, denim becomes a staple in women's wardrobes. Jeans become a icon of rebellion that's adopted by both men and women. The brand introduces a slimmer fitting jean – the precursor to the modern Skinny jean. Stretch women's jeans became popular among teenage girls. 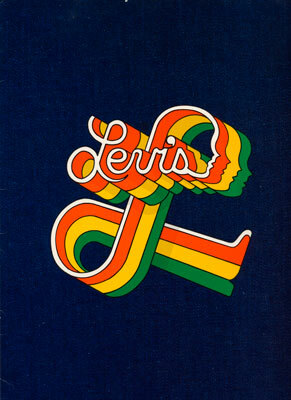 1970s: Levi's® women's jeans range offers a variety fashion fits, including the “full” and “straight” leg jeans, and the “jean cuffs.” Flares and bell-bottoms also become popular styles. Levi's® jeans for women are introduced for the first time overseas. 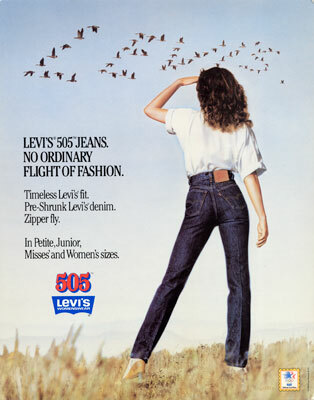 1980s: The Levi's® brand introduces the famous 501® jeans for women in 1981. The brand introduces stonewashing to women's jeans just two years later in 1983. 1990s: The Levi's® brand offers a series of premium denim and continues to make a wide range of jeans – including the 501®, 550®, 512® Slim fits. 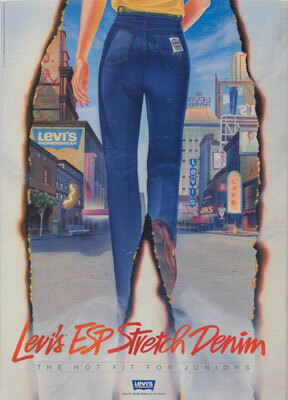 2002: The Levi's® brand launched Super Low jeans for women, driving the trend to new heights. In 2018 Levi's introduced the 720 High-Rise Super Skinny Jeans. Today: The Levi's® brand remains the top seller of women's jeans worldwide and continues to offer the hottest styles for women. Levi Strauss & Co. is one of the world's largest branded apparel companies and the global leader in jeanswear, marketing its products in more than 110 countries worldwide. The company designs and markets jeans, casual wear and related accessories for men, women and children under the Levi's®, Dockers® and Signature by Levi Strauss & Co.™ brands. Levi Strauss & Co. reported fiscal 2008 net revenues of $4.4 billion. For more information, go to http://levistrauss.com. It may also be a good idea to visit our vintage jeans page to learn more.